After I have added my client's company on Pandle how do I give them access to it? As a default your client will not automatically be notified when you create an account for their company on Pandle. In order to do this you must add them as a user to the company account. 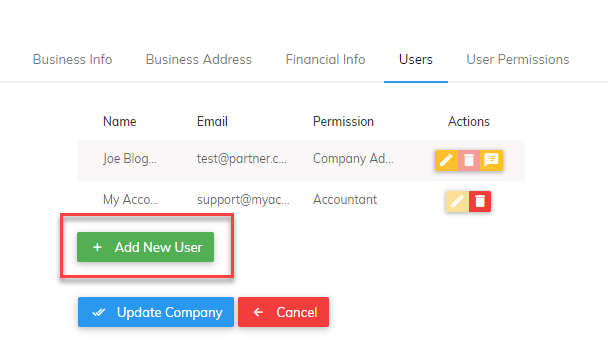 Once your client's company has been chosen, head to Company Settings, then from the Users tab click 'Add New User'. 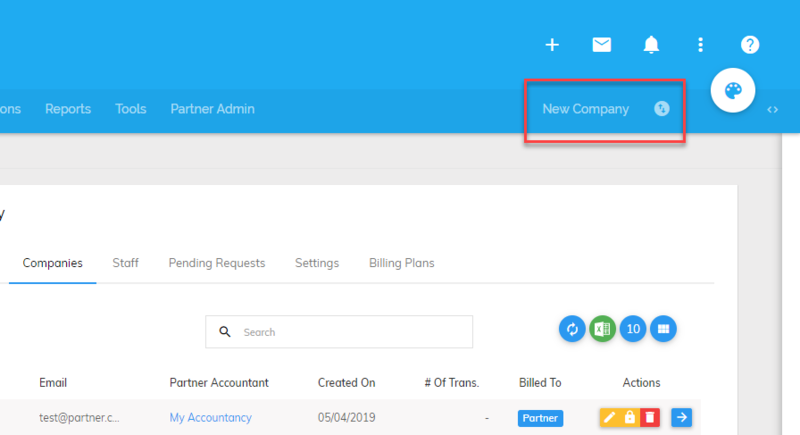 Then enter your client's details and select their permission level before clicking 'Invite User' to grant your client access to their company account on Pandle. Your client will receive an email prompting them to activate their account. They will need to click the link in the email and sign in to Pandle using the email address which you sent the invitation to and the temporary password which can be found in the email. After they have signed in for the first time they will have access to their account on Pandle. The amount of financial information they can see will be determined by the level of User Permissions you selected when sending out the invite to your client. You can change these User Permissions at any time, to learn more about this please click here.